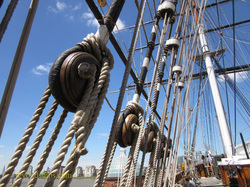 Cutty Sark is one of the world's most famous ships. Books have been written about her and a popular Scotch whisky was named after her. A 19th century speed queen, she was the ultimate in sailing ship design. She remained in service well into the 20th century carrying cargo and was the last clipper ship to remain in operation. Today, Cutty Sark is one of the most popular attractions in London. Some 15 million people have visited the ship. Following a major fire in 2007, Cutty Sark was restored and is housed in an innovative structure in Greenwich by the River Thames. Visitors can go through the interior of the ship, onto her open decks and even walk underneath her hull. Exhibits tell the story of the ship and the officers' quarters, crew area and working parts of the ship can be explored. The site also contains a modern cafe and gift shop. 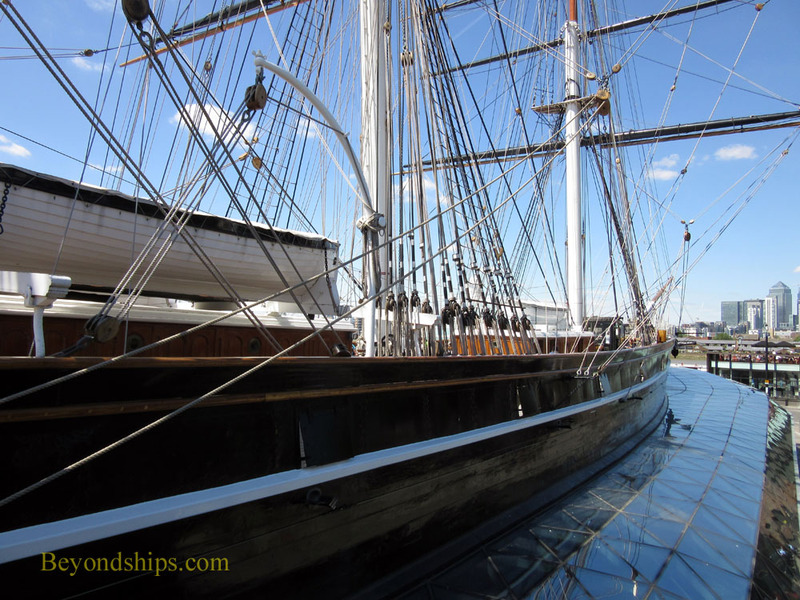 What captivates most people about Cutty Sark is the grace of her lines. Her hull is long, narrow and low. Her three masts reach for the sky. It is an elegant design that causes everyone to agree that she is a beautiful ship. Cutty Sark is located close to Greenwich Pier and thus is easily reached via tour boats leaving from Westminster Pier and Tower Pier. There is also a Cutty Sark station on the Docklands Light Railway. Slightly further away are the Greenwich and Maze Hill mainline railroad stations. With a few exceptions around Christmas, Cutty Sark is open daily. For hours and ticket prices see the Royal Museums Greenwich website.